2016 - Carsharing 2025 - Niche or Mainstream? Here you can find a list of current and past ifmo publications for download. In case of any information on the content of a study, please email the individual study contact person. For all press enquiries please contact Dr. Irene Feige. 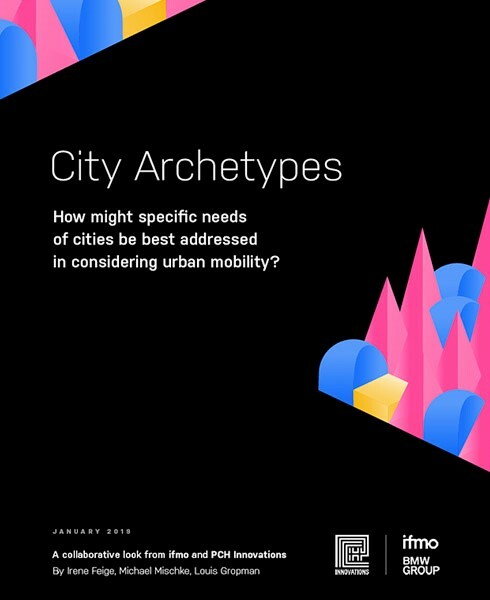 City Archetypes - How might specific needs of cities be best addressed in considering urban mobility? When it comes to mobility, cities across the globe show us several versions of reality. This report helps us to grasp the complexities of urban structure and transport by using novel and suggestive methods of categorizing cities.